Aaron Jackson man of the hour as he takes action against The Westboro Baptist Church. Many are afraid of doing anything directly targeted towards the Church as it could have consequences as they are protected by certain laws. 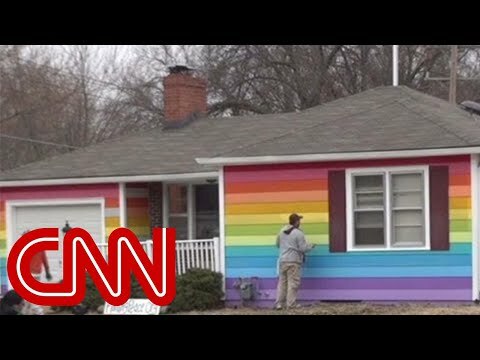 What Aaron did was a genius move, in the video you see him buy a house across the street from the Church and paint it in the LGBT flag colours.